Cynthiana is a quiet town in Indiana's far southwest corner. The town is named for Cynthiana, Kentucky, where the original settlers emigrated from. The town was first laid out in 1817, making it older than most of the towns in the area. 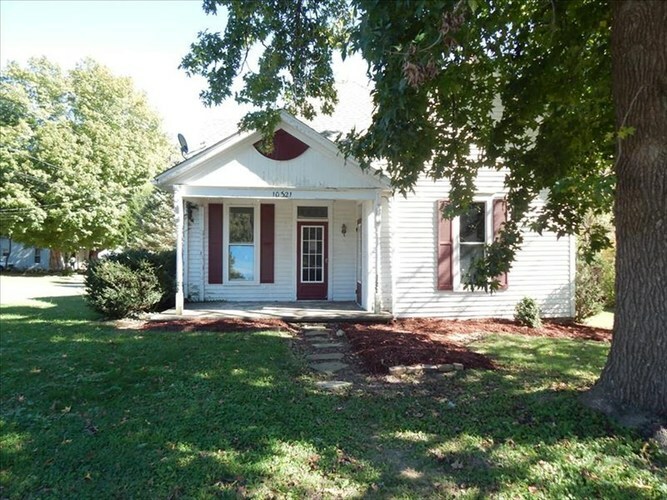 Cynthiana is known for its peaceful atmosphere and its friendly residents. Cynthiana sits just north of Interstate 64, a location that gives residents easy access to much of southern Indiana as well as the neighboring states of Kentucky and Illinois. Evansville, the nearest large city, is about a half hour away, and smaller towns like Wadesville and Fort Branch are within a ten-minute drive. Harmonie State Park is also close, offering plenty of recreational activities. If you want to settle down in a peaceful place, consider making a move to Cynthiana. To learn more about this gem of a small town, simply sit down with a Tucker realtor. Our realtors know all there is to know about homes for sale in Cynthiana, and they will be more than happy to help you locate the property of your dreams. Cynthiana's proud history dates back about 200 years, and over that span of time, many different architectural styles have left their mark on the town. You'll find everything from historic buildings to simple modern homes while walking through the town streets. If you have a specific preference in mind, be sure to mention it to your realtor. They will be able to point you toward homes that satisfy your needs and your taste. When Cynthiana residents plan a shopping trip, they often head out of town, steering for well-known stores in the surrounding small towns and countryside. Due to Cynthiana's proximity to a number of other towns and cities, the drive is rarely long, and a wide variety of different stores lie within a short drive's distance of town. Some of the local favorites include Embroidery Direct and the Nottingham Wood Barn, both of which sit on State Road 65 as well as the favorite Little Crazy Daisy. You'll find in Cynthiana and other neighboring towns, people are often exceedingly friendly. No matter where you go, you'll find helpful folks that extend a warm hand of welcome. No matter where you choose to dine, you’ll get amazing service with fresh food served with a smile. Some local favorites include J J's Restaurant, which sits right on Main Street, and PJ's Pizza on Whiting. If you head just out of town, Harold's is another sure bet. Residents love the prices, and breakfast dishes regularly earn rave reviews. If you're serious about your shopping and dining, just plan a trip to Evansville, which attracts people from all over southern Indiana and supports a wide variety of shopping and dining establishments. The shopping ranges from luxury fashion outlets to locally-owned craft stores. You'll find goods from all over Indiana and Kentucky in this border town. And Evansville is known for its great restaurants, too. You'll find classic American flavors next door to exotic dishes that hail from all around the world. Barbecue is, of course, the local specialty. Leisure time in Cynthiana is often spent venturing out to Harmonie State Park, located on the Illinois border. Harmonie is known for its rustic feel and sits right on the banks of the iconic Wabash. The park features a swimming pool, picnic areas, and a gorgeous landscape filled with huge ravines, trees, and all kinds of local plants. The park also has plenty of hiking trails, making it an ideal retreat for any outdoor lover. Harmonie Park is also historically significant, as it was the home of two counterculture communities during the early 1800s. Cynthiana residents are also not too far from Shawnee National Forest, a stunning combination of geologic formations and wildlife that make it a favorite among visitors and locals alike. The forest spans over 250,000 acres of pristine lands. The grounds feature natural and artificial lakes and seven officially designated wilderness areas that draw backpackers from all around the region. Cynthiana sits in a primarily agricultural part of Indiana, surrounded by green fields that support the majority of its inhabitants. The land has been farmed since the days of the first settlers from Kentucky, and that practice continues to this day. There is always an interest in experienced farm labor and trained mechanical work for upkeep in the complex machinery involved in the business of modern farming. However, if these professions aren't along your career path, Cynthiana's proximity to other small towns and cities make it an ideal place to commute to work from. Your Tucker realtor may be able to find you a home that will cut down on time spent in the car and the money spent at the pump. Cynthiana students are served by the Metropolitan School District of North Posey County. The youngest learners first attend nearby North Elementary School, which is in the neighboring town of Poseyville. They then move on to North Posey Jr. High School where these young students meet with other students from the surrounding small towns to prepare for high school. At North Posey High School, students are introduced to a new level of academic rigor, coupled with an impressive array of extracurriculars that span varsity sports, arts, and civics. By the time these students graduate, they are ready for college, careers, and community life.